Did you know that failure to keep dryer vent lines clean and free of obstruction is the leading cause of dryer fires in the US? The dryer vent in your Seattle or Tacoma home should be professionally inspected and cleaned annually. This ensures your vent is not holding a buildup of lint debris and/or moisture. Moisture can also damage drywall and other building materials. A clean dryer vent also helps your dryer run at maximum efficiency, which saves you time and money. Based in Sumner, The Chimney Specialists offer dryer vent cleaning to homes throughout the entire Tacoma-Seattle area, including the Eastside, from Bothell to Kirkland to Bellevue to Kent and down to Puyallup. We want to reduce the risk of fire in your home to keep you and your family safe while making sure your dryer runs safely and efficiently. The Chimney Specialists perform a yearly chimney/dryer vent clean out for all condos in my complex. They are always right on time and get through the building quickly and professionally. Last year it was discovered that I had a crack in base of my fireplace. I hired the Chimney Specialists to come out to fix it. They were right on time and got right to work sealing up the crack. It couldn't have gone much smoother. The Chimney Specialists can take care of all your residential and multi-family dryer vent cleaning and chimney cleaning needs whether you have 5 or 500 units. 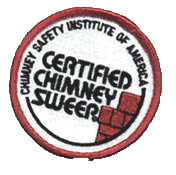 We send out a professional, skilled and uniformed crew to inspect and clean your chimneys and dryer vents. As an added bonus, a tenant notification letter with dates and procedures will be provided at no additional charge. We now service the dryer vent lines from the exterior with a reverse air-snake/jet powered by large truck mounted and mobile air compressors. We do not service the dryers themselves. Any dryer vents that are not accessible by ladder or on the roof we will note and skip. Contact us for your estimate on our commercial dryer vent and chimney cleaning services.